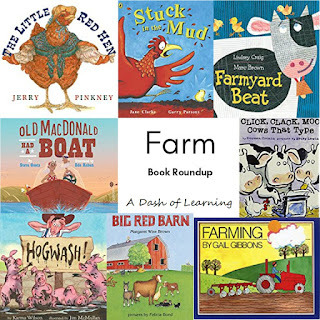 Autumn is such a great time to celebrate the harvest and learn about how food is produced. 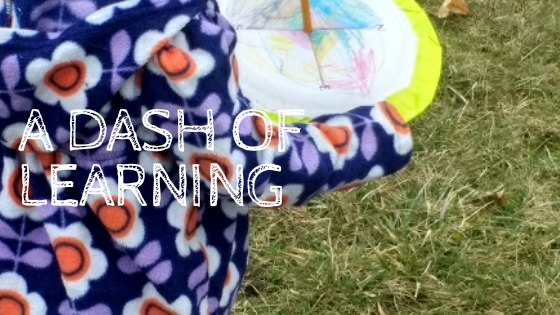 You can take your children on field trips ro apple orchards, country fairs, and pumpkin patches. 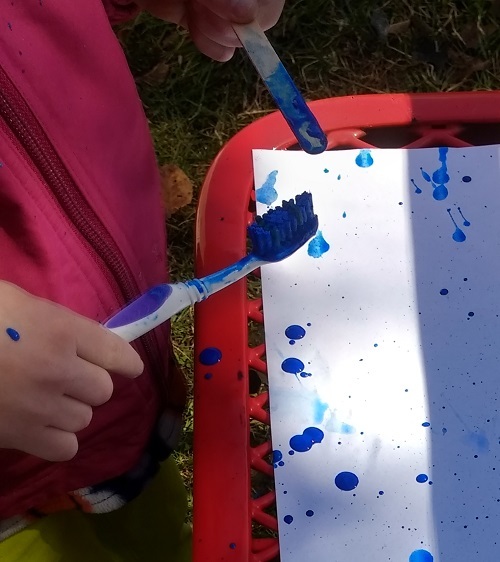 We have been doing some of these things and I wanted some fun easy crafts to go along with all of these great active opportunities! 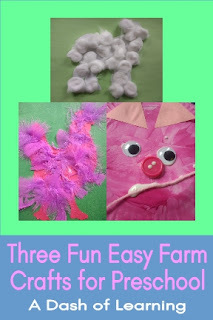 We made a funky rooster, a pig, and a nice soft lamb. 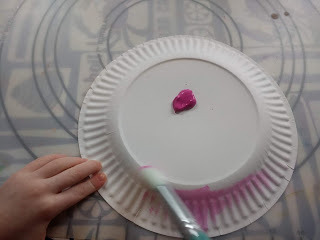 Also, don't miss the tractor painting process activity that I posted last week! 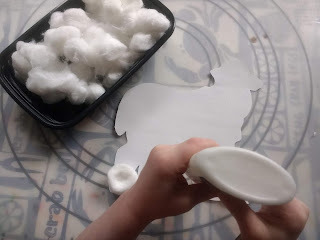 Print out your template (or cut it out freehand, if you are more artistically able than I). 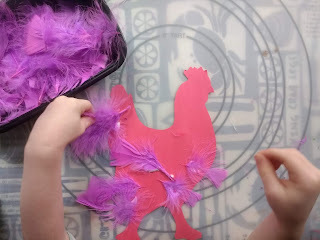 Trace the rooster on one of your sheets of construction paper. Cut it out. Gather your materials. 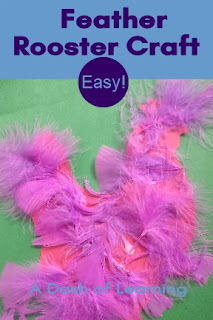 Provide your child with the rooster cut out, liquid glue, and the feathers. Let them have fun gluing on the feathers. When they are finished they can glue the rooster onto the second sheet of construction paper. 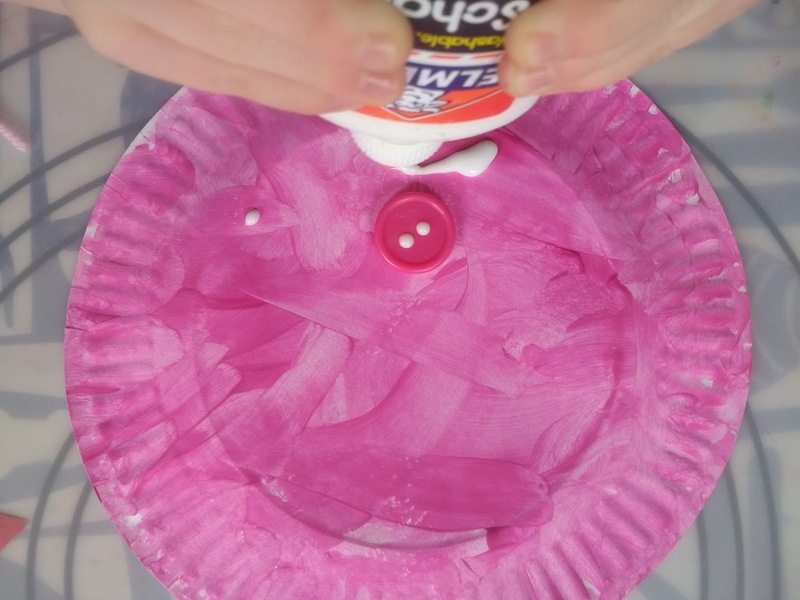 Allow the finished product to dry and enjoy! Print out your template, trace it onto a sheet of your construction paper, and cut it out. Gather your materials. Set up your child with the sheep, glue and cotton balls. 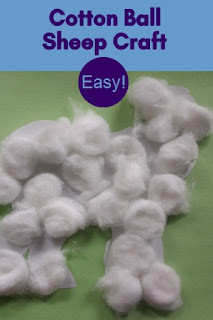 Let them glue the cotton balls onto the sheep. 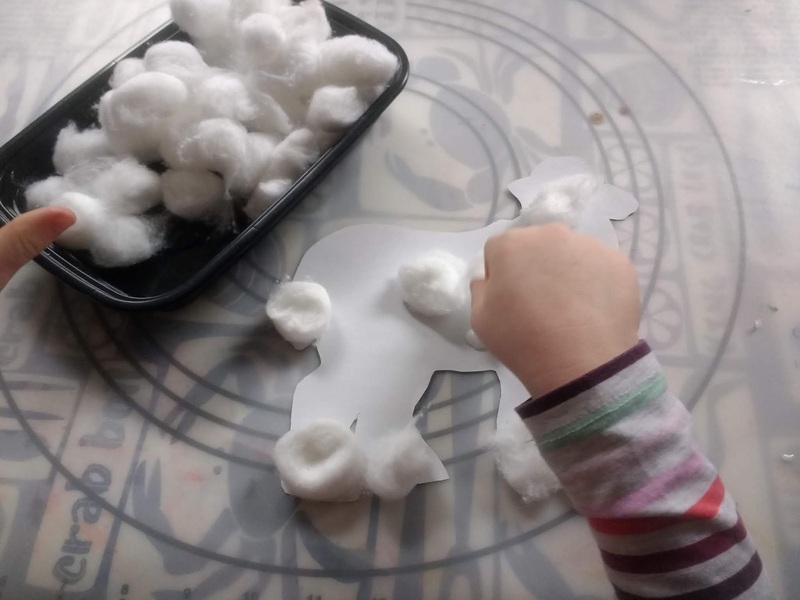 Talk about the texture of the sheep. 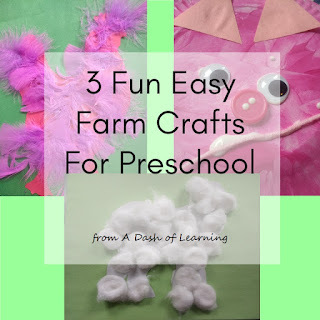 Allow the whole craft to dry and hang it up somewhere to enjoy. This is the most involved of the three crafts. 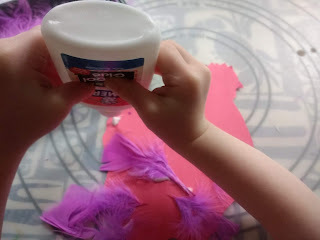 We did this craft in two stages spread across two days (one for painting and one for gluing). To get ready, cut out two small triangles from the construction paper and cut a small section of yarn for the pig's mouth. Provide the plate, paint, and paintbrush. Let them paint the face of their pig. When they are done set aside the craft and allow it to dry completely. When the paint is completely dry, set up the gluing half of the craft. 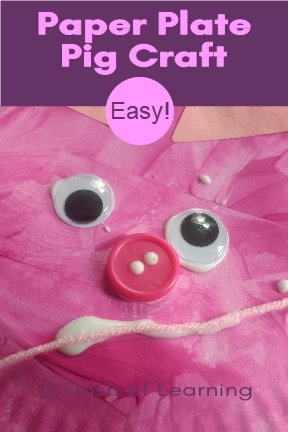 Provide your child with the painted plate, googly eyes, button, yarn, and glue. (You could also skip the googly eyes and replace them with cut out circles to make this craft into a mask). 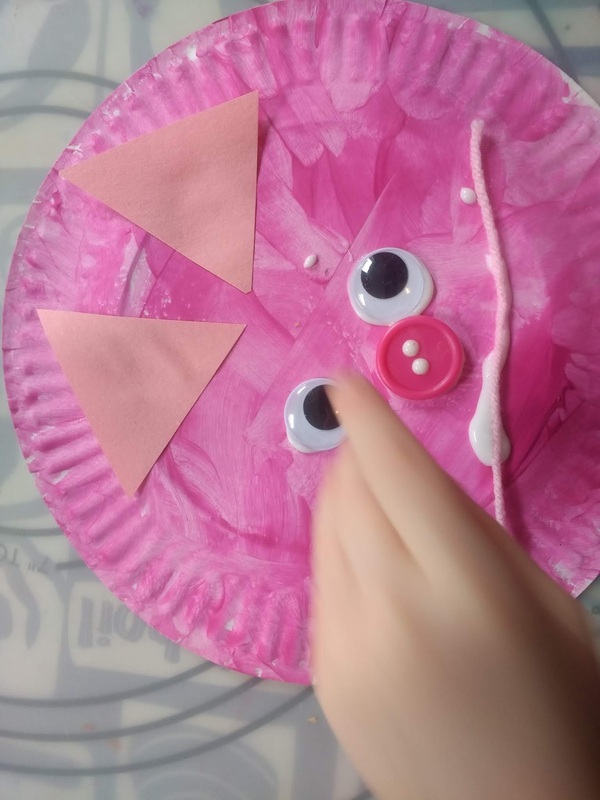 Allow them to arrange their pig's face. Allow to dry and enjoy! 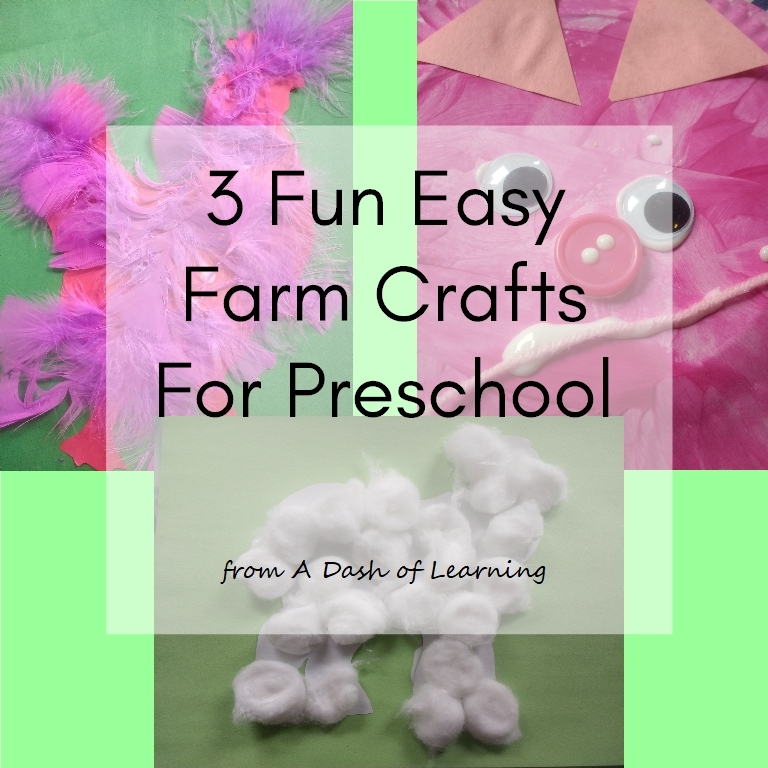 Thank you so much for taking the time to stop by and read about our farm craft preschool adventures! 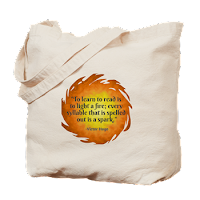 Feel free to leave a comment below if you have any comments or questions. 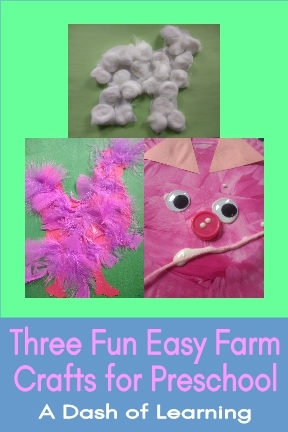 If you need more preschool farm activities be sure to check out my preschool farm activities pack available for in my Teachers Pay Teachers store.